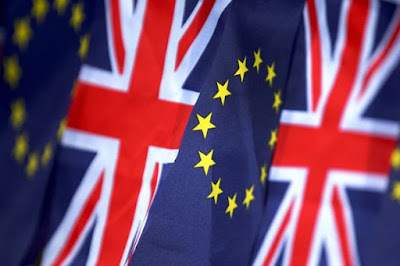 There is less than 2 months to go before citizens of the United Kingdom head to the polling booths and decide their future with the European Union. But why is the UK holding a referendum in the first place? Surely, after being a member of the EU for over 40 years, things cant be that bad? 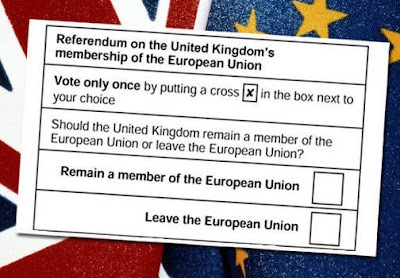 The UK is one of the most prosperous, economically stable countries in the world, and let’s not forget, the British public already voted in a referendum (4 decades ago) to remain a part of the economic nirvana that was the European Economic Community in 1975. True, Mr. Jenkins, or at least it seemed that way in 1975. The UK was remaining a part of the common market for increased investment, trade, and tariff reductions, all of which facilitated economic growth and increased prosperity. Of course, the clue was in the name: “European Economic Community”…a community of European nations who would work together for the mutual benefit of economic growth (not political growth, or supra-national growth, but economic). The unwanted political/federalist agenda soon reared its ugly head four years later, when the European Monetary System was launched and the European parliament held its first elections. Later, in 1985, Jacques Delors (President of the European Commission) proposed the completion of the European Single Market, before the European flag was raised for the first time in front of the European Commission’s Berlaymont building in 1986. In 1987, the “Single European Act” entered into force, making it more difficult for a single country to veto proposed European legislation, whereas the Maastricht treaty officially turned the Communities into a Union in 1993, setting clear rules for the future single currency, a clear direction for foreign & security policy, and closer cooperation in European justice and home affairs. The single market was also completed in 1993, allowing “EU citizens” to study, live, shop, work, and retire in any EU country, while the European Central Bank was hastily inaugurated in Frankfurt, Germany, to implement the EU’s monetary policy and manage the upcoming “euro” currency (adopted in 1999). Finally (and before this article becomes too much of a history lesson), the Treaty of Lisbon entered into force in 2009, granting more power to the European Parliament, creating a permanent president of the European Council (unelected, I may add), a new High Representative for Foreign Affairs and Security Policy (also unelected), and clarifying which powers belonged to the EU and which belonged to the Member States. Is it me, or does this all seem a little too “political” for a European Economic Community which the UK voted for in 1975? Not jumping to conclusions, but it appears the UK was promised economic collaboration with Europe, yet sold a 41 year package of political integration and federalism…the ultimate wolf in sheep’s clothing. Sorry Europe, but the boring history lesson (see above) is not what the United Kingdom had in mind, and it is incomprehensible that four decades have passed since we decided to vote on our ever-declining national sovereignty. Over two thirds of the United Kingdom’s laws are subject to the European Union (this figure varies depending on which source you buy into), but most agree that a significant amount of UK law is subject to laws proposed by unelected bureaucrats in the European Commission. I emphasise the word “unelected”, because those of you reading this article outside of the United Kingdom will probably not fully understand the nature of the beast running wild at the EU’s highest level. The current President of the European Commission, Jean-Claude Juncker, has never been one to appreciate democracy and “the people’s voice”…his most famous quote being “Il ne peut y avoir de choix démocratique contre les traités européens”. Translation: “There can be no democratic choice against the European treaties”. After all, what do the people of Europe know about their futures compared to unelected bureaucrats on $200,000+ annual salaries? By the laws of Junckerism, as long as the people have no voice, the EU federal agenda will carry on as planned. Of course, the future of the European Union is neither here nor there for this organisation. It is blatantly obvious where my allegiance lies with the upcoming UK referendum on June 23rd, but a vote to remain or leave is not official policy of the Commonwealth Freedom of Movement Organisation. Instead, this is more a letter of apology. 41 years ago, the United Kingdom was promised economic cooperation under a beautifully disguised European dream, and the general public believed in it. They fell for the promise of trade benefits, lower prices and increased prosperity, while unknowingly marking their crosses at the polling stations for a hidden political agenda of European federalism, supra-nationalism and bureaucracy. Even more shamefully, we put our faith in the utopia of Europe and turned our back on the Commonwealth of Nations…the very union of countries who fought and died next to us in the bloodiest world war only 30 years earlier. 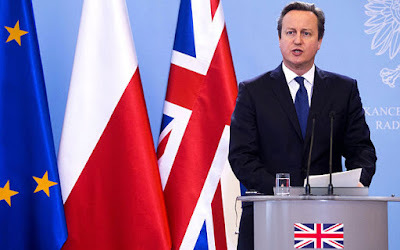 We traded diplomatic relations, trade, investment, intelligence, and most importantly, freedom of movement with the Commonwealth, for a Trojan horse that continues to corrode our national sovereignty and deplete our proud heritage, year by year, in the interests of establishing a United States of Europe. We thanked our Commonwealth neighbours for their help and their courage in a world war to defend our democracy, liberalism and sovereignty, only to show them the door and side with the very people who threatened those values in the first place (and arguably, still threaten those values today). We let them down, and we have paid the ultimate price for 41 years. As our allegiance to the European project became obvious, the drawbridges between Australia, Canada and New Zealand were raised, and where we used to enjoy freedom of movement between these countries many decades ago, we surrendered such a luxury for a seat at the European table, only to find ourselves resenting that very decision years later. If we vote to leave the EU, we can create our own immigration policies without the hindrance of those in Europe controlling our borders. We can finally embrace the long overdue idea of opening our doors to more and more citizens within the Commonwealth, and eventually work towards free movement between the UK, Canada, Australia and New Zealand. We have seen that free movement can operate effectively (as demonstrated in Europe itself), so the concept of free movement existing between our four sovereign countries, with the same Head-of-State, the same native language, the same Westminster style parliamentary system, and the same respect for democracy, human rights and the rule of law, is something that should no longer be shackled to the back burner of European supra-nationalism.